The products is pecially developed for the new plastic ball, it's a forehand and backhand heterogeneous blade, the same performance rubber in the ZLC board to produce higher speed. higher rotation in the ALC board surface. can be made in response to the advantages of personal skills to do the most Forehand/Backhand good choice, so that the characteristics of Forehand/Backhand play to the extreme, enhance the hit the new plastic ball rotation and speed, but also allow rotation and speed to enhance the balance of attention given both stable batting feedback. 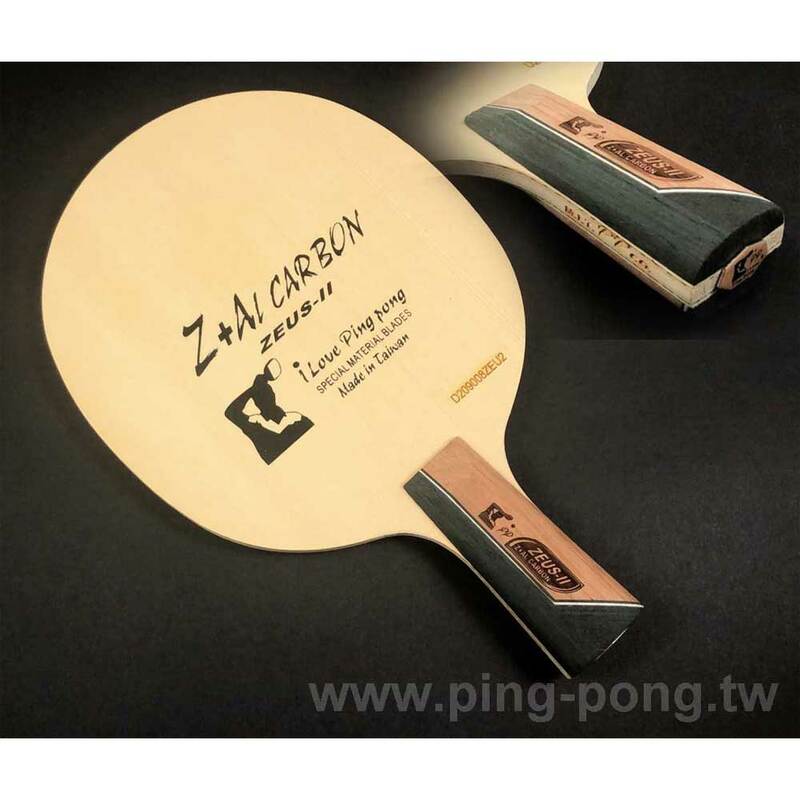 The Forehand ZL Carbon forehand side, plate thickness thick as 6.4mm, the muzzle velocity of the fast and there is absolutely stable shot, fell after the other tables in turn increases their rotation (second speed), but also make the pediment arc down quickly, so the degree of difficulty of the opponent to return the ball to increase a lot, the second rotation stamina strong momentum after hitting a stable table and drop features of its board. The Backhand Japan Kiso Hinoki+Arylate Carbon soft elastic property, after touching hit a ball, fast elastic might, moreover after falling the table, the second revolving stamina was stronger, Coach Tony Hsu preferred the racket, the wood grain was closely straight and even, the panel sense of reality quite good, suited the drive attack, to strictly chose the high-quality goods of blade, the price very reasonable above the price in value, being worth you purchasing the use even to collect. Coach Tony Hsu recommends M.I.T. I Love Ping Ping. The blade chooses Z+ALC Carbon in strictly. Coach Tony Hsu personally selects, wood grain and performance best quality guaranteed, above the price in value, M.I.T. I Love Ping Ping, This brand high-quality blade are the pride of Taiwan. Same Performance Rubber Tape Produces Higher Speed on ZLC and Higher Rotation on ALC. ※Speed (high control techniques): JOOLA-X-plode 〉 JOOLA RHYZM-P 〉JOOLA RHYZMTECH 〉JOOLA-energy 〉JOOLA-Zack Low speed (good control), the best high-speed combination, suitable for the pursuit of high-speed arc ring players to use, low speed, rotation of both, for the pursuit of arc-ball player advanced save money with the combination. ※High Spin： 红双喜 狂飙-3-50 / 红双喜 狂飙-8〉 JOOLA-energy 〉JOOLA RHYZMTECH 〉 JOOLA RHYZM-P 〉JOOLA-X-plode Weak rotation.